So its the time to release tuning parts pack. 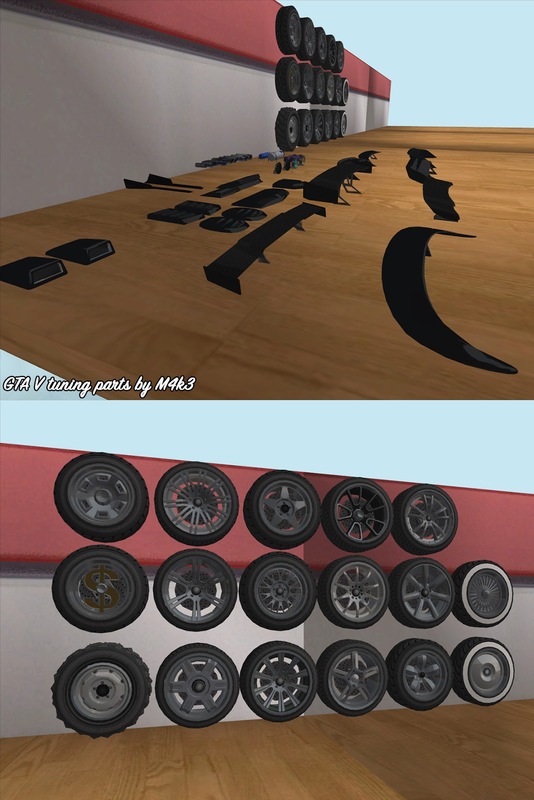 GTA V tuning parts pack for GTA SA. 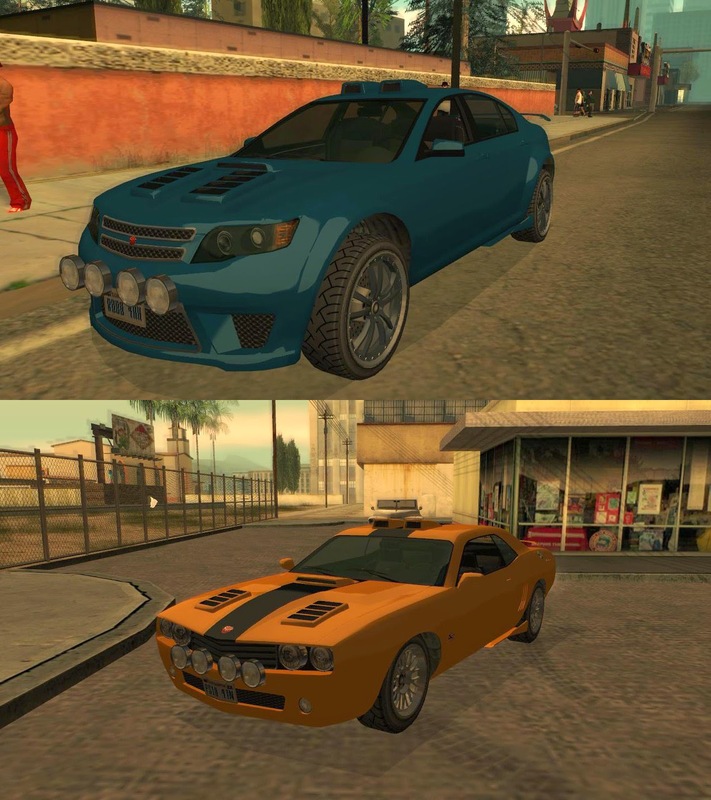 Spoilers, exhausts, lights, hood vents, wheels and some textures by Rockstar Games. Nitro bottles, roof scope, small (oval and square) hood vents and some textures, GTA V tuning parts converted by M4k3. 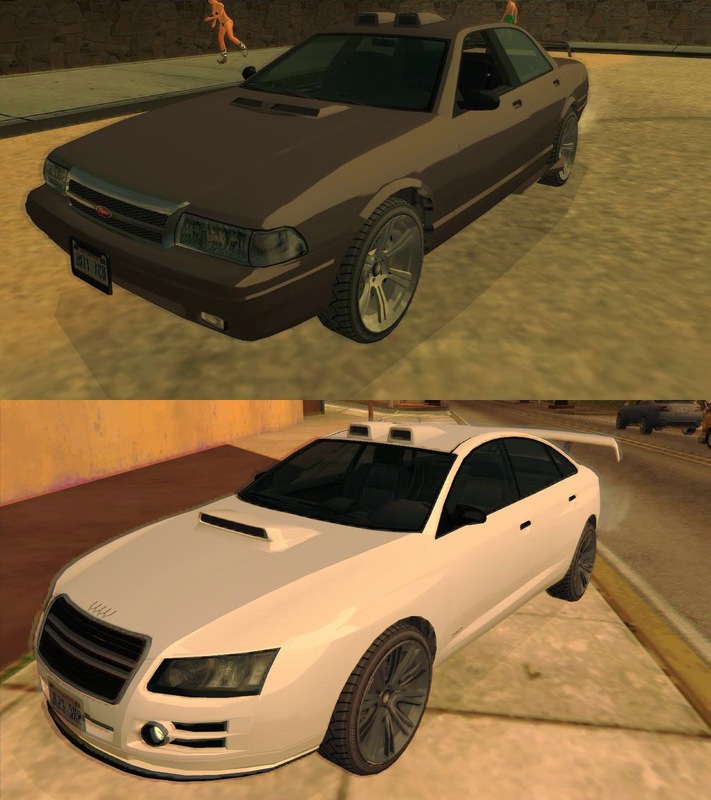 This mod replaces the existing tuning parts with new ones from GTA V.
Some of them were made from scratch by me because GTA V doesn't have these parts. I also included tuning wheels from GTA V too (17 only, no new additional wheels). -SA styled reflections (the same as on my cars). -Supports ImVehFt (dirt, fog lights flash (no corona, shadow on the ground because of limits)). Could you add more tuner wheels?